Ewelme is situated at the western end of the Chilterns, on the eastern slopes of the Thames valley. It is in an area of outstanding natural beauty. Throughout most of the 20th century watercress provided a thriving local business, with distribution as far as Covent Garden. 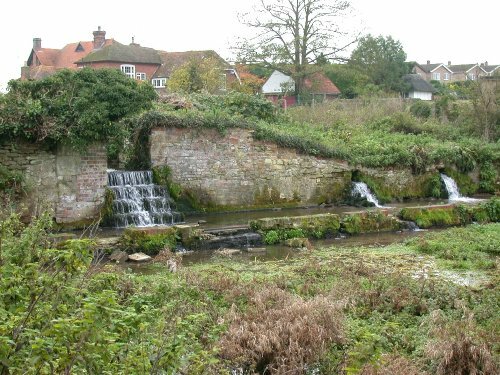 The Watercress beds flow through the whole length of the village from South East to North West. The stream, fed by springs supported a water mill in the village and another two (or perhaps three) in Benson before flowing into the River Thames at Benson, a couple of miles away. During the latter quarter of the 1900s, regulations precluded the sale of watercress from the site and this, together with greater competition from other areas and countries, lead to the industry's demise. It was most fortunate that the Chiltern Society agreed to purchase the beds, and have invested in a programme of conservation and revival. Parts of the site will be maintained for demonstration of its historical importance for the village and some for the wildlife.